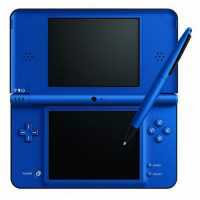 Nintendo DSi XL - Midnight Blu..
Nintendo Dsi Xl Midnight Blue..
Dsi Xl - Handheld Game Console..
Online Play and Functionality The wireless revolution in personal electronics has made online functionality and connectivity to the Internet a huge focus in handheld gaming. Every handheld console has an online arena that has either been built specifically for it, or that has been adapted to suit the needs of online players. By utilizing these portals players can greatly expand their chosen platform's potential, maximize gaming fun and increase the overall entertainment value of their devices. The Nintendo eShop is your one-stop shop for exciting downloadable games, videos, applications, and so much more. Discover all-new 3D software, plus legendary titles from gaming past remastered in 3D. Revisit with classic portable "Virtual Console" games starring Mario, Link, many other faces from the Nintendo catalog of games. Gain access to hundreds of previously released DSiWare games, applications and much more. Browsing the Nintendo eShop is incredibly easy, and fun. Find any title in seconds, then view screenshots, game info, and even video to help you make your purchase. You'll even find details and 3D video of Nintendo 3DS games available at retail stores. All games are able to be saved in your own custom wishlist so you can always remember the titles you want to get. 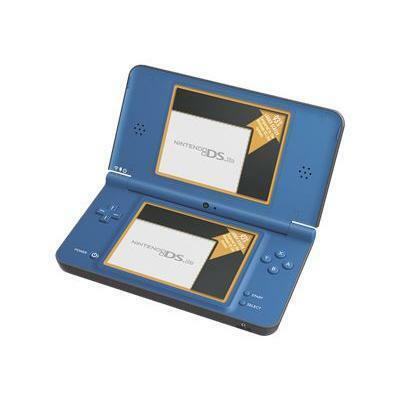 DSiWare through the DSi Shop is a service that allows DSi players to download games and applications directly to their handheld console in exchange for DSi Points purchased through a local retailer. Experience new and innovative gameplay, fresh takes on the classics-and much more. Just shop, download, and enjoy. Visiting the DSi Shop is easy, just establish wireless broadband connection, click on the Nintendo DSi Shop icon from your menu screen and browse the shop and use Nintendo DSi Points. Games and applications can be saved to SD cards (sold separately). PlayStation Network is an all access pass not only to a world of gaming, but also one of entertainment at-large. The service is 100% free, only requiring a PlayStation handheld (or a PS3) and a broadband connection to the Internet Once you are in visit the PlayStation Store where users can download games, first run and classic movies, previews, DLC add-ons for games, game demos, music and original PlayStation oriented streaming video content. Purchases can be made using a credit card or a PlayStation Network Card purchased offline. Content can be stored on external media or within the hard drive of the PSPgo. * Existing Netflix unlimited membership account required. s="h3color tiny">This review is from: Nintendo DSi XL - Metallic..
After waiting for a LOOOOONG time for a pink version of the XL to come out, i've finally switched over from a DS Lite.. but.. I'm a little disappointed.First of all, the color shown in pictures is deceiving, the product is more of a copper-ish pink then a "rose" color. The picture makes the color seem a lot more lighter and pinker than the actual product. Besides that, the product is working well.I've upgraded from a DS lite to this DSi XL, I was ..
s="h3color tiny">This review is from: Nintendo DSi XL - Midnight..
My kids have a regular DSi and we just upgraded to the DSi XL and we LOVE IT! The bigger screen size really makes a huge difference in how much you can see what's really going on in the screen. It makes it much more enjoyable.